Cookbook Review: The New Vegan | Cook. Vegan. Lover. I have been testing out some recipes from The New Vegan by Lorna Sass who is also the author of The New Soy Cookbook. This book is a great introduction to vegan recipes, the first chapter features how to stock your vegan pantry. The best thing about this cookbook is that there is a photo to go with almost every recipe. For those of who have been cooking for years pictures are not so important but being a new cook or new to vegan cuisine it is great to have a photo reference to go with a recipe. 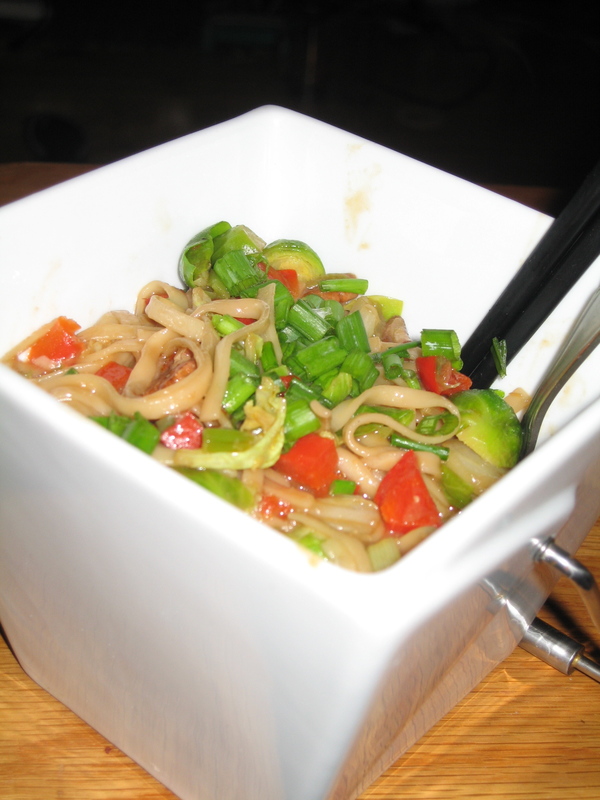 I made the Brussels Sprouts and Udon Noodles in Miso Sauce from the book and it was delicious. I love that this book features recipes from various cuisines in a way that is approachable for anyone. This book although called the “New Vegan” is great for any level of cook and anyone interested in veganism/vegetarianism. This entry was posted in Book Review, Uncategorized and tagged Book Review. Bookmark the permalink.